DNA Test in Mehsana Gujarat will now become easy and affordable since DDC Laboratories India, one of the best DNA testing centers in India, has opened up its collection centers all over India to make DNA testing convenient and affordable for all. Our laboratory is known for 100% precision, timely results and reasonable prices. We provide all types of DNA tests including Paternity DNA testing, Maternity DNA testing, Grand-parentage DNA testing, DNA test for detection of criminals, DNA Test for immigration, prenatal DNA testing and all other DNA tests. Even detection of dead bodies can be done. It can also be undertaken if you doubt your partner for infidelity. We are specialized in immigration DNA testing. We conduct embassy approved DNA tests under our AABB certified labs for immigration that need test results to determine blood relationship in family for visa purposes to UK, USA or any other countries. Our DNA testing procedures and techniques are simple that can be carried with the help of a simple sample like saliva or blood. 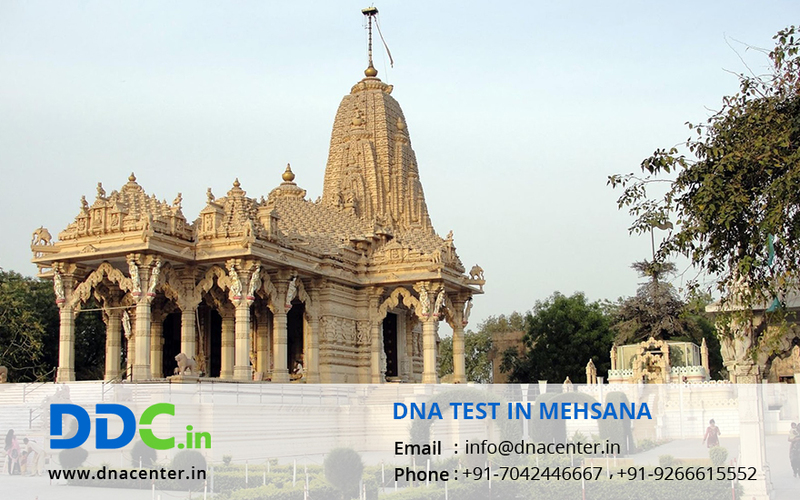 For any kind of DNA test in Mehsana Gujarat, please fill the form below and our executive will contact you or to make an appointment and for any queries, give us a call at: +91 7533008488.